The silence of Adele (which is now no more!) for close to four years has ushered in a unauthorized reality talent show called: "The Search For The Next Big Voice To Keep The Home Fires Burning Till Adele Comes Back". A blessing and a curse it has been, as a series of contestants have come to the forefront, a lot of them either sounding like direct rip-offs (sorry Sam Smith) or who have had the good sense to take us down sonic avenues where we never thought big, throaty n' soulful voices could go (say hello to Jessie Ware). Jess Glynne's contestant role was as the 'Likable Dark Horse'. One who worked low-key, diligently and steadily, all while being retained in the background, until out of nowhere she had several consecutive breakout moments to prove her worth as a contender (and if you've been watching this dismal season of Project Runway like me Glynne has a soul sister in Kelly Dempsey). Glynne's solo breakthrough came with her first intro single, the Bless Beats-produced, "Home", a one-off shot with squirmy violins and the Hampstead singer/songwriter laying down an impressive tonal voice, a voice that rose and fell with emotion, glistened with pop gloss and hardened with R&B grit. The song sparked something for Glynne as it gave her a distinct 'sound', one that she could harness her voice to and be recognized by. "Right Here", another one-off featuring Gorgon City on production, is where I felt Glynne was onto something as it's revival '90s house sound had her bounce alongside more nuanced voices of her peer pool such as Sinead Harnett and Ella Eyre. Her Clean Bandit ("Rather Be", "Real Love"), Route 94 ("My Love"), and Tinie Tempah ("Not Letting Go") collaborations for sure solidified her as a more than capable chanteuse on-demand, but "Home" and "Right Here" is where the initial kernels of I Cry When I Laugh were popped. 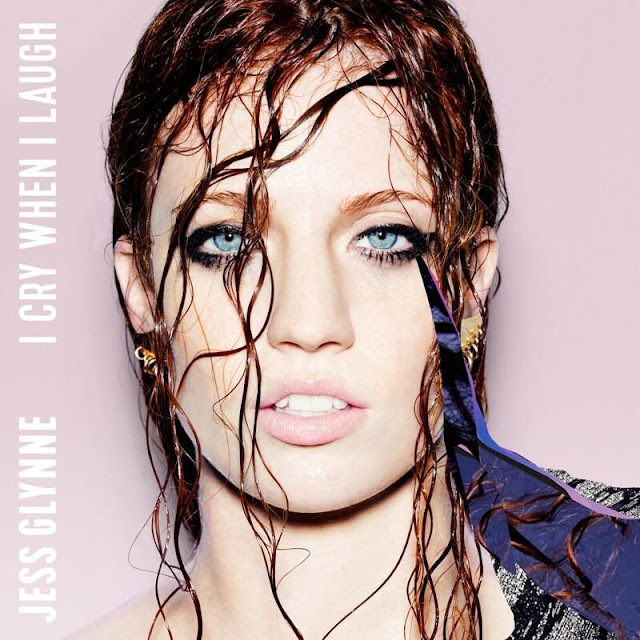 Jess Glynne may have not wanted to create an album dedicated to heartbreak, but she made an album that is to be enjoyed while you're going in-between the heartaches, digging a spoon in every flavor from Ben & Jerry's, and drying out your wine bottles. An album that is aware of the tears and cryptic text messages as it is about that tremble of the lip that lets a valiant "I will survive!" fly off of it. Its mix of awareness and optimism, uptempos and downtempos, makes I Cry When I Laugh a breath of fresh air, considering how pop-soul divas love to wallow in overwrought sorrow and sexual spectacle, sometimes for more than their share. It's easy for the tears to dry on their own as Glynne's got a big voice, a powerhouse one that makes joyful noises, and the music paired with it is B-I-G and rolls out on house pianos straight outta 1994. When things begin bright with the sunbeam of "Gave Me Something", a glistening jewel of an opener, it sets the tone that I Cry When I Laugh is largely built inside a piano. Piano runs, piano pounds, piano, piano every-freaking-where. Not that I mind, but the persistent usage of it leaves Glynne little wiggle room to experiment vocal-wise --- she must be loud and voluble to accommodate --- leaving the songs to ultimately bleed into each other, some sounding too relative to be separate. With Starsmith and Knox Brown in position as her core collaborators, her house tastes are in lieu with CeCe Peniston and Robin S., but Glynne doesn't have the control (nor the raw soul quality) that they do when it comes to their golden throats --- she is just warming up after all --- but she is powerful and engaged enough to where you'll hear a little bit of "We Got A Love Thang" and "Show Me Love", respectively, in her execution. She does try on some electro-synths on the New Jack-flavored, "You Can Find Me", and it's a brisk change of pace, but if you can't swallow a heavy dosage of tumbling ivory and ebony, then listen elsewhere. As with its relentless piano-fueled messages to find silver linings, sonically, I Cry When I Laugh is also heavy on the American Southern Gospel themes, well, sans Jesus shoptalk. It calls and responds, Glynne wading in troubled waters as backing choirs heighten tension with their moans and "amens". It's a wee bit exhaustive and fictitious when you hear the wailing, "Why Me", but Glynne maintains her position at the pulpit, her heart in the right place, flicking her tambourine and preaching a sermon of uplift, and you'll capture the spirit as you clap along to the mirthful "Ain't Got Far To Go", and stomp in the pews on singles, "Hold My Hand" and the album's anchor mantra, "Don't Be So Hard On Yourself", where Glynne tacks a mirrored ball up into the rafters to splash the congregation with a little disco shimmer. Ironic in name, "The Saddest Vanilla" sprinkles Emeli Sandé (another contestant of the "Adele talent search") on as garnish, but for all of her sophisticated vocal chops, she's a real Debbie Downer for me, someone whose peerless voice is always belittled by the droll, NyQuil fair she's often writing for herself, and here she is, drinking some of Glynne's glass of half-full optimism, leaving her stranded at the malt shop with a pedestrian ballad that wants to be a late-'90s R&B lament this side of Brandy or Monica (take your pick), but is too cloying to be sincere. Aside from that stumble, the only true downside to this set is that we've heard a bulk of its material for the last few months to where the listening experience is déjà vu. The Clean Bandit tracks are all here, as are her Route 94 and Tinie Tempah collabs, and singles, "Hold My Hand", "Don't Be So Hard On Yourself" and "Ain't Got That Far To Go" are front and center. Surprises are few here. As a whole, nothing is truly striking, nor ground-breaking on I Cry When I Laugh --- you've heard that strike of the house piano key, that string sweep, that percolating R&B thump, that Gospel-tinged preaching. This has Glynne at a disadvantage, because for some listeners, it can be wear and tear, as you can hear better execution of these elements elsewhere and by more seasoned performers. For me, the album is harmless, some guilt in its pleasure, but pleasure all the same, as Glynne does have the good grace to shake up the bottle that is filled with her influences, and gets these familiar embellishments out of dormancy and fizzing again, crafting a sound that is still surprisingly, and quite uniquely hers.